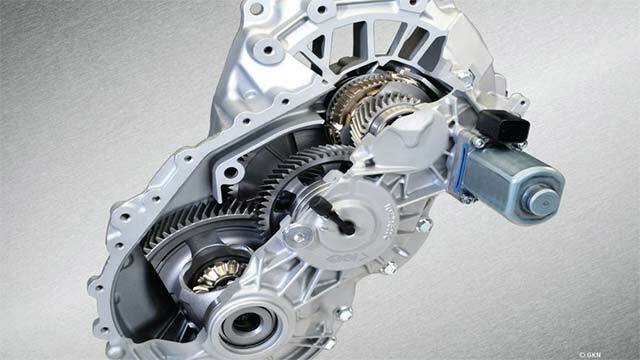 At the 2015 Frankfurt Motor Show, GKN Automotive will demonstrate new technologies that will make plug-in hybrids the driveline of choice for future drivers. The company’s stand will also display the torque vectoring all-wheel drive system that drives the hotly-anticipated new Ford Focus RS. – The carbon fibre ‘Gyrodrive’ flywheel technology that has helped power Audi to three Le Mans podium finishesThe global driveline company has become a leading force in hybrid and all-wheel drive systems, with GKN’s software and tuning expertise making it a key development partner for automakers seeking to push the boundaries with new driveline concepts. The company was named an official Porsche Technology Partner for its role in the development of the 918 Spyder plug-in hybrid super car, and picked up a PACE Award for its eAxle technology on the BMW i8. It handled the complete integration of the all-wheel drive system in Jeep’s first B-segment car, the Renegade, as well as the Fiat 500X. GKN is also driveline development partner to Ford on the new Focus RS, which uses unconventional thinking to deliver a new interpretation of the vehicle’s DNA.